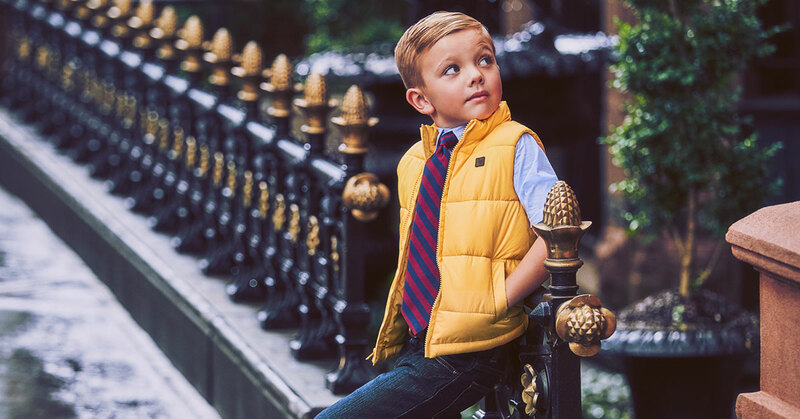 Continuing with our series of sharing our fave children’s clothier brands with our readers, and right in tune with the news about the new Royal baby on the way, we bring you the upscale brand Janie and Jack. The brand is part of the clothing company that includes Gymboree and Crazy 8 but is a notch above both in terms of the couture look and feel to the clothing. Also, the clothing are slightly priced, Janie and Jack shops offer classic children’s clothing rich in fabric, design and detail for girls and boys up to size 12 online, and up to size 6 in shops. Its heirloom-quality looks feature finely-crafted details such as hand-embroidery, hand-smocking and special prints. Janie and Jack has an online shop at www.janieandjack.com and approximately 150 shops throughout the United States. When we think of how the Royals dress, we think of the type of clothing that Janie and Jack sells. Take a look at these awesome stills from one of its latest campaign. Click any photo below to be taken to the company website and browse around the collection.